A car dealership in the North East has promised that it will be business as usual despite being hit by flooding. Benfield Motor Group’s Skoda dealership was submerged by three metres of water after a pipe burst near the premises on Friday (17 March). Several cars were written off and the recently refurbished showroom suffered major damage, but the manager has kept the doors open, saying that the business will continue to trade as normal. To protect against the risk of flooding, dealerships and garages should invest in a high quality combined motor trade insurance policy; not only will this provide cover for the stock and the premises itself should it be damaged by a flood, but the combined traders insurance can also include business interruption cover. This means that should the business be forced to close for an extended period of time while repair works take place the insurance company can provide financial support to cover loss of earnings. In this instance the business interruption cover was not needed. Dave Roberts, general manager, Skoda and Kia, said “It’s business as usual despite the serious damage to the Skoda showroom and dealership." He added: "We have moved quickly to get the dealership and forecourt up and running and I want to thank staff for their tremendous efforts throughout the day in order for us to open again so efficiently." According to the Evening Chronicle, a major pipe burst on Scotswood Road, completely flooding the surrounding area causing chaos. 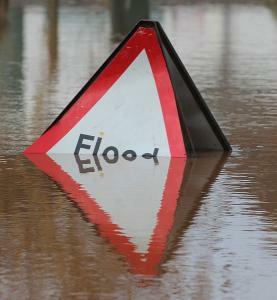 Roads were closed and some cars were severely damaged as water levels rose. Newcastle City Council said it will offer advice to affected firms during the clean-up.